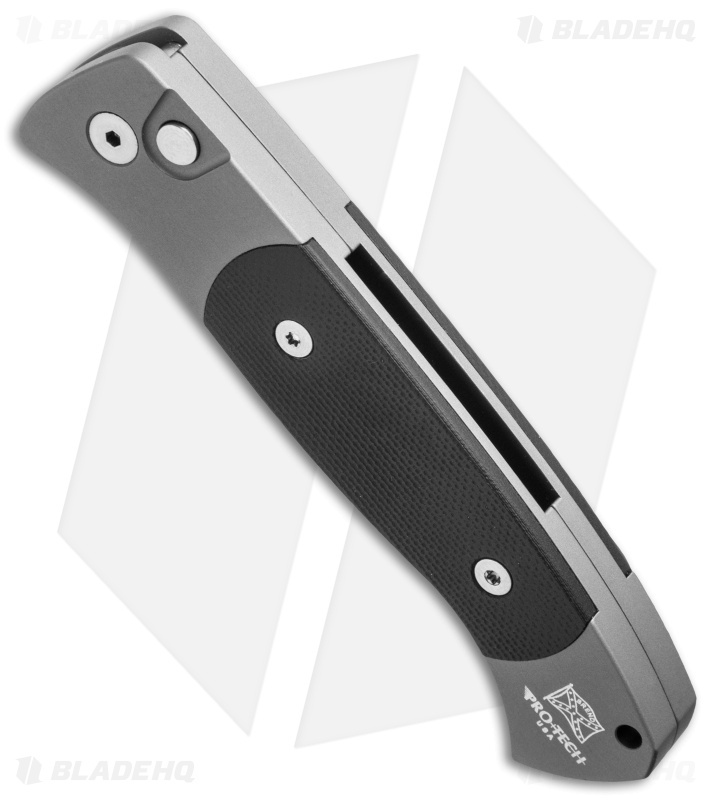 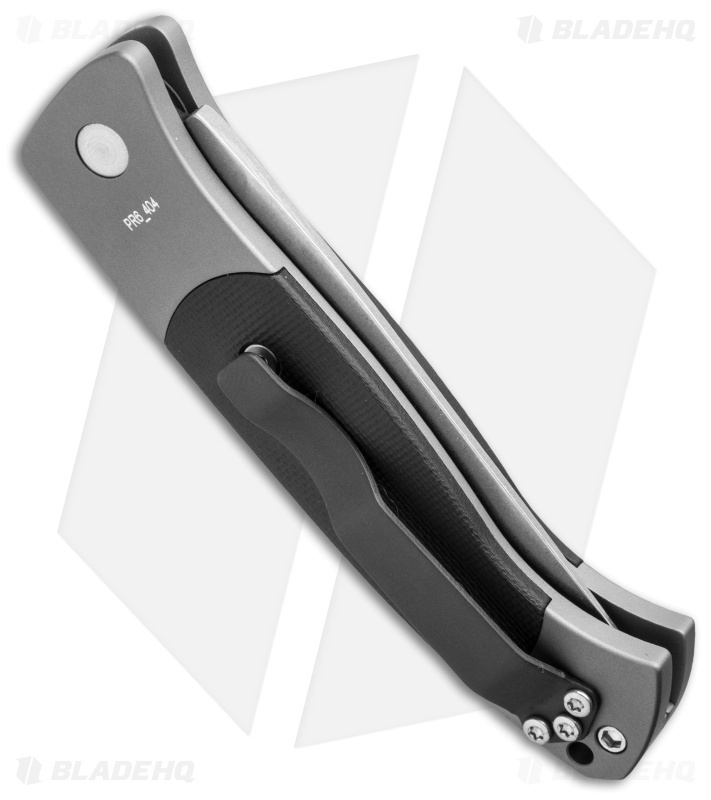 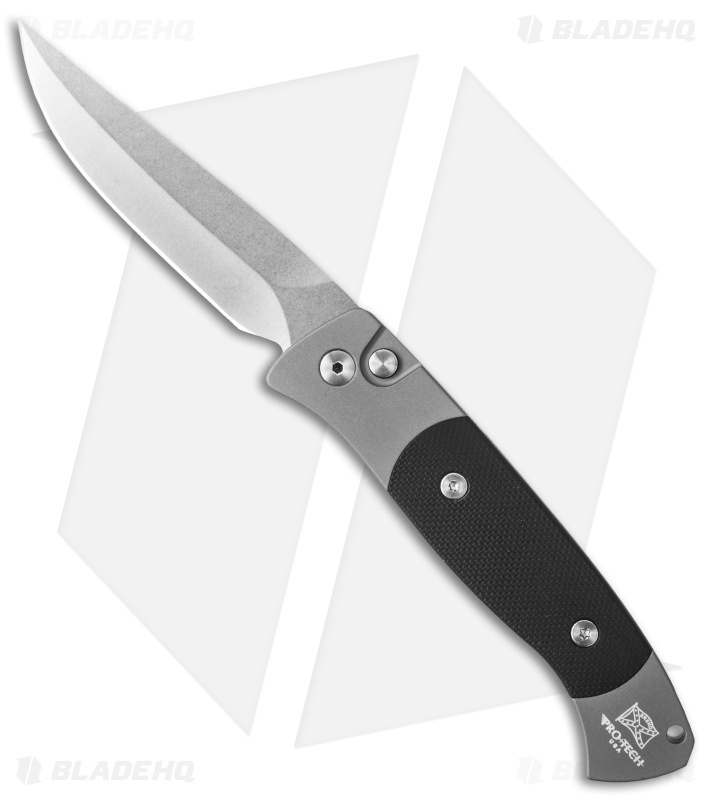 This Brend 2 automatic knife has a stonewashed 154-CM steel blade and gray 6061-T6 aluminum body with black G-10 inserts, satin hardware and a black pocket clip. The Protech Brend 2 is the small version of the Brend Auto. It has the same great style and features the famous "Model 1" blade shape, but in a much more compact size!